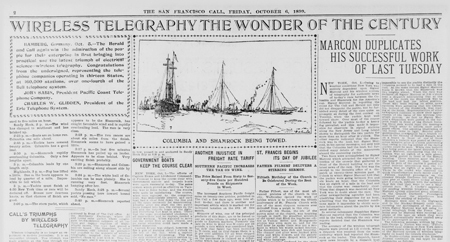 Set students to sleuthing by traveling back in time with historical newspapers to discover how the hot new technology at the turn of the 20th century evolved. Have students work in groups to analyze the primary sources and, together, uncover the evolution of radio technology. Then have students investigate other primary and secondary sources to compare and contrast radio’s evolution to another technology of today. What parallels do they notice? What lessons can they learn from history to help them navigate the present? Essential question: How do technological developments affect individuals and society? What did your students uncover? Please share their discoveries with us!